Rob Razzano focuses his practice on complex commercial litigation and patent matters, with an emphasis on matters concerning government contracts, construction and patent infringement. He balances an aggressive yet thorough and precise approach to his work and clients. In a patent infringement action involving DVD recorders and selection menus, Rob prepared briefs and examined witnesses regarding bench trial issues. He prepared fact and expert witnesses for examination at the jury trial and prepared extensive briefs and arguments regarding damages. In the pursuit of a post-Katrina construction claim seeking compensation for extra work due to changed circumstances and defective contract documents, Rob took and defended more than 20 depositions and prepared numerous discovery motions. The resolutions of these motions, together with success in obtaining admissions from government witnesses, led to a favorable settlement for the client. In a construction case involving delay damages and back charges for the late and defective provision of curtain-wall windows for a high-rise condominium building, Rob prepared and argued several pretrial motions, prepared witnesses for examination, simulated opposing counsel in a mock trial and prepared legal arguments for a favorable interpretation of the subcontractor‘s performance bond. The trial resulted in a favorable settlement for the client. 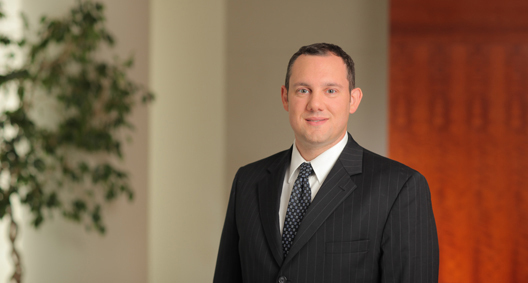 Rob represented a non-awardee in a federal government contract bid protest concerning the removal of unexploded ordnance in the U.S. and abroad on the grounds that the government agency did not perform the required best-value analysis. He reviewed agency records and wrote the brief that led to voluntary corrective action and a contract award for the client. Rob prepared fact and expert witnesses for testimony in a patent infringement case concerning food packaging technology. After drafting and arguing numerous pretrial motions, several of which were resolved favorably, Rob worked with electronic trial presentation vendors to prepare a persuasive opening statement, resulting in further negotiations and a favorable settlement. Rob helped write the motion to dismiss in a data privacy case concerning fraud resulting from what was, at the time, the largest payment card data breach in history, with more than 130 million cards involved. The banks that issued the payment cards sued the bank that acquired merchants for the card networks. The motion to dismiss the complaint was successful, but the issuing banks were permitted to amend their complaint. Rob prepared a motion to dismiss the amended complaint, which was granted with prejudice, absolving the client of liability to the issuing banks. Represented lenders in pursuit of collection efforts, including representation in foreclosure actions and extrajudicial workout efforts. Representative matters include closing of deed-in-lieu of foreclosure for a multistory downtown office building, and judicial receiverships and foreclosures of residential complexes and retail centers. Rob argued before a panel of the Sixth Circuit to appeal the district court‘s denial of habeas relief under the Criminal Justice Act for the representation of indigent prisoners.